You are probably familiar with some of the health consequences that can occur when a person develops diabetes, but you may not realize that diabetes also affects the mouth and the teeth. Unfortunately, diabetes can create oral problems in the mouth that, too often, are not diagnosed until the problem has become an advanced one. 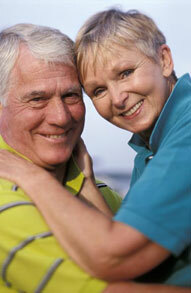 Gum disease, including infections and receding gums, are common among diabetics. Saliva is important in maintaining a healthy mouth because it helps clean the mouth and it neutralizes the acid produced by oral bacteria. For a diabetic, however, saliva production often decreases. Out-of-balance blood sugar levels can also make it easier to develop cavities and periodontal disease. If you are living with diabetes, it becomes especially important that you practice excellent oral hygiene habits. Eating right to control blood-sugar levels and keeping your mouth clean by brushing, flossing, and using a good mouthwash are all helpful preventive measures. In addition, make sure your dentist is aware of your diabetes and is alert for possible dental problems that could arise.